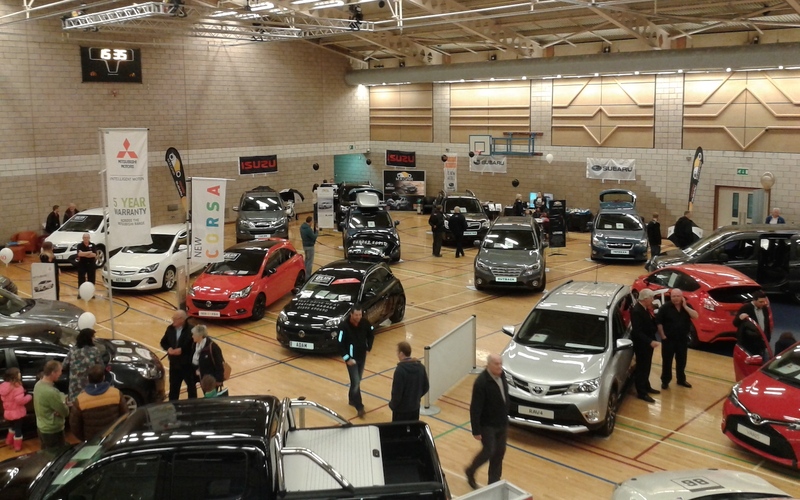 SHETLAND’s motor trade is ready for one of its largest sales events this weekend when the latest models of cars, motorcycles, all-terrain vehicles (ATVs) – as well as a wide range of parts and accessories – will be on show at the Clickimin Leisure Centre in Lerwick. Hosted by the local branch of the Rotary Club and held in aid of a number of charities, the Shetland Motor Show will open its doors to the public at 10am on Saturday (22 April). All the local motor dealers have been working hard during recent weeks preparing their stands, which will be filled with the latest products. 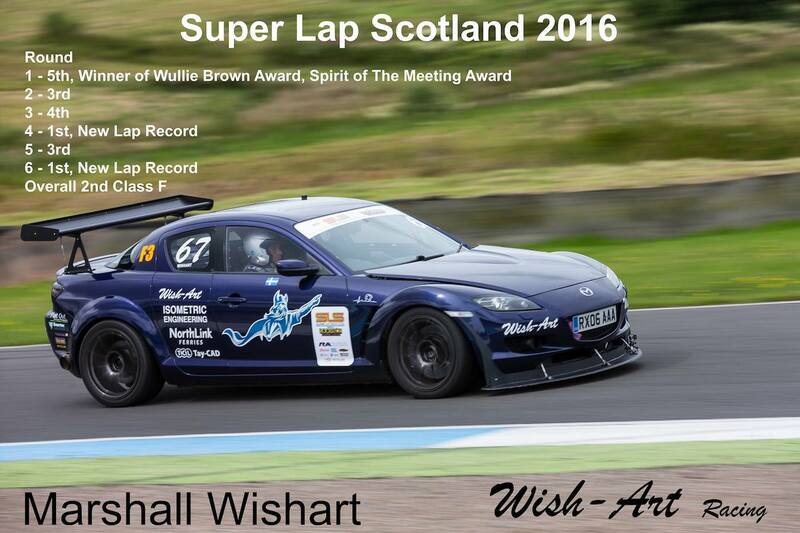 And to draw in even bigger crowds, the Rotary Club has also invited Marshall Wishart to showcase his record-breaking Mazda race car. David Anderson of the Rotary Club organising committee said he hoped the vehicle that broke the Knockhill lap record in 2016 would help to make the show another successful fundraising event. There is no doubt that the bi-annual motor show is a much appreciated opportunity for the motor trade to get out and meet old and new customers alike. Colin Burgess of JB’s Autostore said that following the recent “remodelling” of their shop on Lerwick’s Holmsgarth Road, he and his team would be exhibiting their expanded range of parts and accessories. “We’ve created the room to expand our ranges of tools from Sealey and Draper, a wider choice of accessories and more importantly a huge expansion in the ranges of all makes of parts we carry,” Burgess said. As Shetland’s largest supplier of car parts and accessories, staff will be on hand to explain the diversity and range of parts available. Marshall Wishart broke the Knockhill lap record twice in 2016. With summer on the way, cleaning products from Autoglym and Meguiars will be on display, and for the repair enthusiast there will be a sample of the extended range of automotive tools now available at JB’s including new lines such as shot blasting kits, welders and engine stands. JB’s is also giving away an extensive range of tools. The promotion is being held in aid of two worthwhile charities, Breast Cancer Now and Prostate Cancer UK, which goes some way to explain why the tools being donated are of a distinctive pink hue. It comes as no surprise that the town’s largest car dealer, Jim’s Garage, will have a strong presence at the motor show. Jim’s Garage Mazda & Ford will have a range of exciting vehicles on show, and there will be something for everyone to see – ranging from the small and practical to the medium and sporty and large and luxury. Sales executive Jim’s Garage Toyota, Darren Boxwell, is equally looking forward to the event. The company will have six conventional passenger cars on show, including the new Toyota C-HR and the “all new” Yaris, plus a Toyota GT86 ‘feature car’ which is being shipped north to “catch people’s eyes”. With diesel cars getting a lot of bad press lately, Toyota is very much focusing on petrol and hybrid vehicles. Meanwhile at Thulecraft, Davie Nicolson and his team will have the latest Honda ATV vehicles on show including the Honda Pioneer Utility, which has just been released in the UK. There will also be examples of Honda’s core agricultural ATV range, a new TRX 500, TRX 420 and also a TRX 90 for the youngsters. And to reinforce Thulecraft’s Honda motorcycle agency, the company’s stand will further feature a new Honda CRF 250L and most likely a nearly new CB 125F. “With local competition from Suzuki, Polaris and Can-Am, I feel that this is an opportunity to show our machines that can’t be missed,” Nicolson said. Bixter Garage will be exhibiting a wide range of its Polaris ATVs and Side-by-Sides. Servicing the local community since the early eighties, Bixter Garage is today an independent garage and has been appointed as the authorised Polaris dealer for the islands back in 2015. “Machines on display include the Outlaw 50 – suitable for children from six years upwards, the Sportsman 570 – the perfect ATV to assist with all of the jobs around the farm – and the Ranger 6×6 Side-by-Side, built to handle the toughest of terrains,” garage owner Martin Nicolson said. “The motor show is very important as it gives us a ‘showroom’ in Lerwick for the weekend,” he added. Other exhibitors are: Leask Motor Garage, M & R Gair, Valley Valeting, the local NFU office and the local police. Shetland Motor Show 2017 is open on Saturday 22 April between 10am and 5pm and on Sunday 23 April between 10am and 4pm. Entry is £4 and all proceeds will benefit local and national charities. Disability Shetland will be the main beneficiary from this year’s event.